The Last Minute #Heartbreaker Holiday Playlist! Now Available Worldwide: Let 'Last Christmas' Warm Your Heart This Holiday! 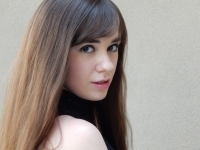 11/24: Watch Kristina Lachaga's Thanksgiving Day Parade Performance on CBS or App! My New Single "R.S.V.P." is Out NOW! You're Invited So...R.S.V.P. - Kristina's TV Performance Debut in Charlotte Thanksgiving Day Parade! 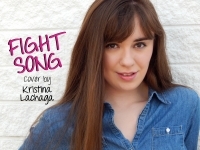 #MMxKristina: #MusicMonday Just Hit a High Note with Kristina's Weekly Song Pick! 1 YouTube View = I Donate 25¢ to Susan G. Komen through 10/31!